I will be at San Diego Comicon this year from THURSDAY JULY 20 to SATURDAY JULY 22. Dark Horse Comics will be selling a COMICON EXCLUSIVE version of Black Hammer #1 with a great new cover by FABIO MOON (above). I will also be handing out EXCLUSIVE ROYAL CITY PLAYLIST PRINTS at the TRAVELLING MAN COMICS Booth on Saturday. A couple of big announcements, regarding some surprise new projects, will be made at the show as well! Announcing DESCENDER DELUXE HARDCOVER EDITIONS! 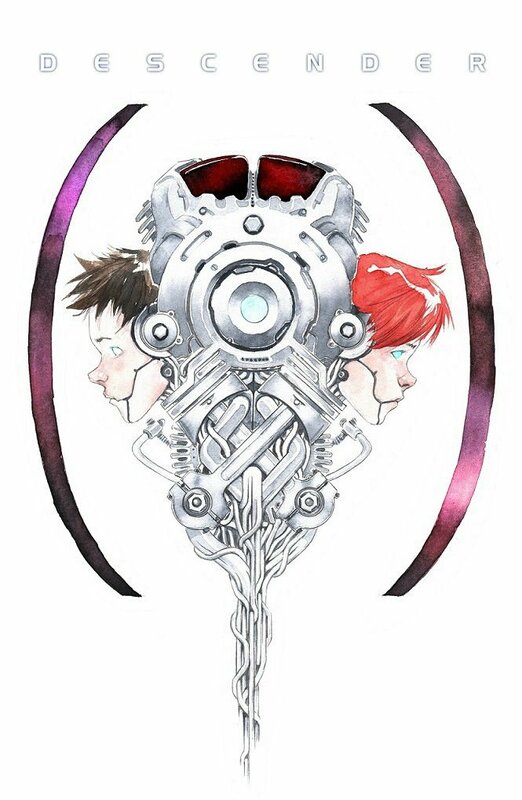 COMING THIS FALL: DESCENDER DELUXE HARDCOVER VOLUME 1! Deluxe Hardcover format - 7.25" x 10.875"
Young Robot boy TIM-21 and his companions struggle to stay alive in a universe where all androids have been outlawed and bounty hunters lurk on every planet. Written by award-winning creator, Jeff Lemire, Descender is a rip-roaring and heart-felt cosmic odyssey. 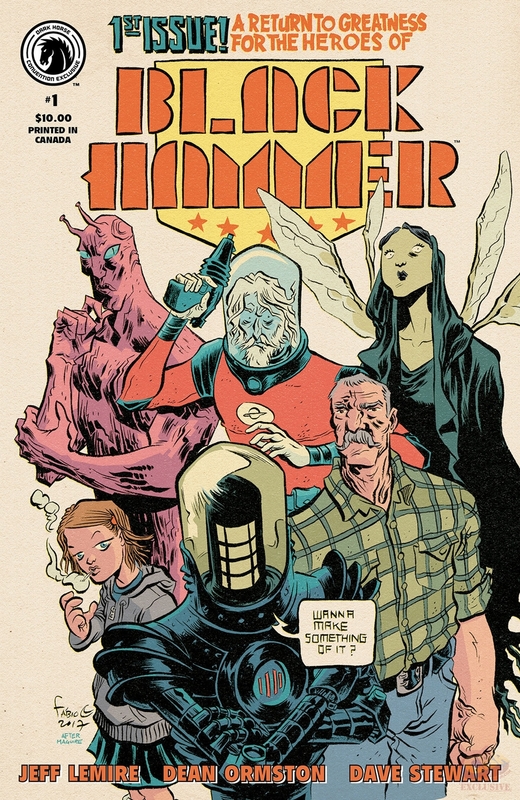 Lemire pits humanity against machine, and world against world, to create a sprawling epic. CLICK HERE TO PRE-ORDER NOW! !